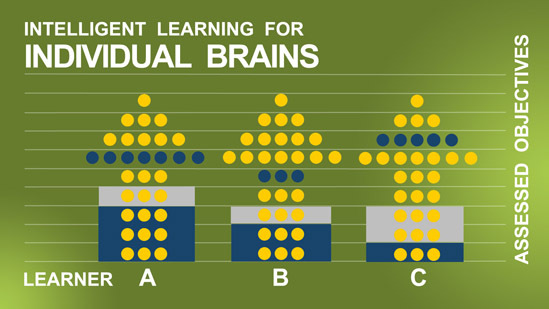 Research shows that performance gains are 300% greater with BrainX when compared to LIVE or traditional LMS training. A Personalized Learning System (PLS) assesses each learner and uses the assessment to build a personalized course of instruction. After instruction, PLS provides personalized practice sessions to reinforce knowledge & skills, with repetition on different days till the knowledge becomes locked in long term memory and the skills are mastered. The Personalized Learning System movement was founded on the belief that learning is only successful if it creates a sustained increase in performance. BrainX gives clients their highest ROI on Training Dollars. 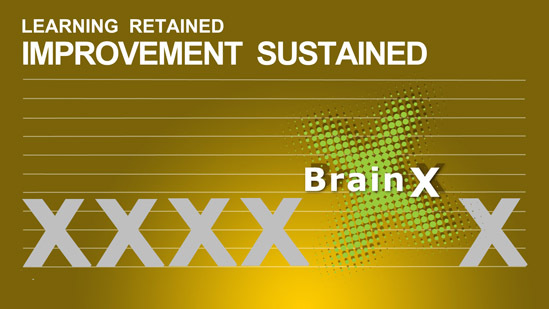 BrainX helps training organizations eliminate learner forgetfulness and achieve sustained performance gains. Our patented, neuroscience-based platform adapts to deliver personalized skill mastery in less time, with higher ROIs than any other LMS. Instruction A Personalized Learning System (PLS) assesses each learner & uses the assessment to build a personalized course of instruction. System issues all learners the same lessons in the same order regardless of their prior knowledge. Every learner is different Personalized Learning can leverage these differences to create high course completion rates. A "one size fits all approach ignores difference and research shows that this results in lower course completion rates. Reinforcement After instructions, PLS provides personalized practice sessions to reinforce knowledge & skills. Repeats on different days until the knowledge becomes locked in long term memory and the skill are mastered. The Systems typically offers reinforcement though a "one size fits all" knowledge check or exercise that is not repeated often enough to create mastery. A PLS offer the most effectives method to reinforce learning and heighten retention. 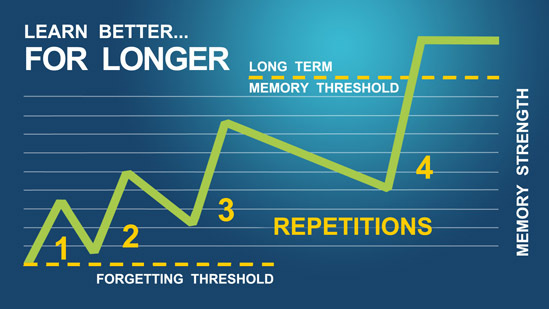 Extensive research on the spacing effect used by PLS shows that "forgetting" on the drastically reduced if a learner can practice recalling and using learned information over specific intervals of days. Research on the limited reinforcement offered by the "one size fits" approach shows that participants forget the majority of what they learn within a relatively short time frame. Evaluation Level 1 evaluation: A PLS must prove that a sustained performance increase has been achieved by learner. Level 1 Evaluation : Only offer a survey which had a favorable reaction to the course. The Personalized Learning Systems movement was founded on the belief that learning is only successful if it creates a sustained increase in performance. All other criteria, such as how participants rate a course are irrelevant if learned information is forgotten and performance is not improved. If you already have online courses: Learn why running your courses on the BrainX platform will increase knowledge retention and the performance of your learners. If you need to develop online courses: Learn about our standard package of intelligent content creation tools that you can use to create every component of a course including branching simulations. Learn how BrainX uses a pre-test to create personalized courses for each learner. You will also learn how BrainX engages each learner and provides personalized instruction. Learn about the patented BrainX technology that solves the problem of forgetting and creates durable knowledge mastery. Learn how the BrainX branching simulations and other interactive tools provide each learner with realistic practice environments. 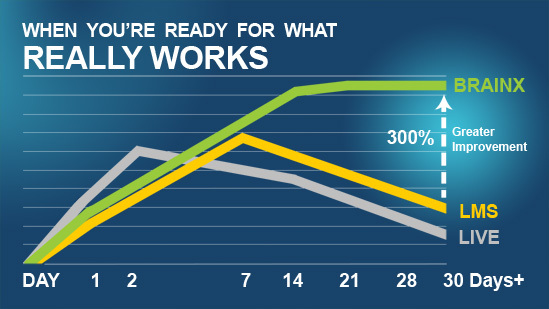 The system serves these up at the right intervals to get each learner to total skill mastery in the shortest amount of time. This video also covers the unique “Today Plan,” the Instructor/Manager dashboard, and how the system assists instructors and managers in providing effective feedback and coaching to each learner.